We’d love to hear from you…. we can get you on the schedule, give you a listing of our services, and take care of most all your problems quickly, getting you back on the road you love…. 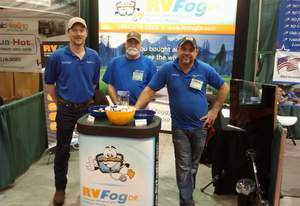 We’re here to help you enjoy your RV in every way…..
RVFogDr – Here to help! We strive daily to help enhance the the RV lifestyle by providing solutions to many of the issues that give us pause.... We're here to help- and keep you safely on the road- Give us a call- you'll find our attention to detail and level of professionalism to be outstanding. Click here to view the RVFogDR video illustrating how the entire process works, and how we are completely dedicated to making your view of the highway better and safer than before!!! Visit our page on Facebook!! !